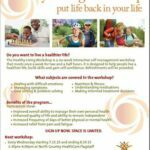 Join Tuba City for Healthy Living Events! Join us for a free session on living well in the new year. The program will include: Tips for health eating, child health, oral health, vaccine facts, tips on how to not get sick this winter, guide to local resources, and tobacco cessation tools. 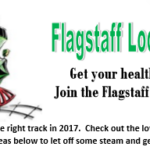 Flagstaff Local Motion: Get Your Health on Track! The City of Flagstaff Recreation Department offers a variety of recreation programming including: programs for adults, kids and families at the Flagstaff Aquaplex and Hal Jensen Recreation Center, ice skating at the Jay Lively Activity Center, and activities for seniors at the Joe C Montoya Community and Senior Center. Additionally, Flagstaff has 24 parks, two disc golf courses, and the Flagstaff Urban Trail System. 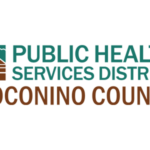 Coconino County Parks and Recreation offers programs for adults and youth that encourage them to get moving and get outdoors. Programs include archery, summer camp, mountain bike camp, hiking and more. Register for NACA’s 4th Annual Fall Into Fitness Challenge. Considering yoga’s stress-busting effects, one would think that high-schoolers might benefit from the practice. And now, a study shows that yoga does confer benefits to teens.